Many species of trees are prone to grow in a manner that eventually keeps them from supporting their own weight. These structural defects often result in trees splitting and falling. 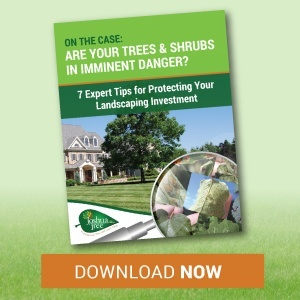 The resulting damage can not only negatively impact the appearance of your trees in Allentown, Bethlehem, or Easton, PA, but could lead to significant hazards. Trees with poor structure, included bark, or internal decay often cause damage and injury to structures and people. 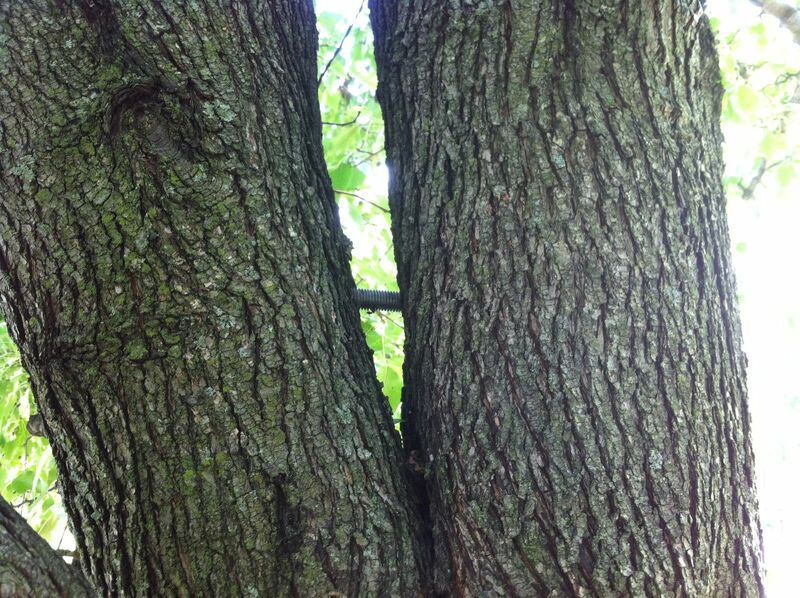 To reduce this occurrence on trees, Certified Arborists install tree braces and cables. Trees and their parts are tremendously heavy and under a lot more stress than you expect. Weakened areas are more prone to twist and break as they face challenges of heavy winds and winter precipitation. In some instances, tree services can install tree bracing systems or tree cables to reduce the chances of failure. Specialized hardware including eye bolts and cables are installed in the upper canopy of trees to help reduce the chance of splitting and cracking. These cables are virtually unnoticeable from the ground. As trees grow and wind and precipitation stresses impact your tree, tree cables may need to be adjusted, replaced, or new cables may need to be added as your tree grows. 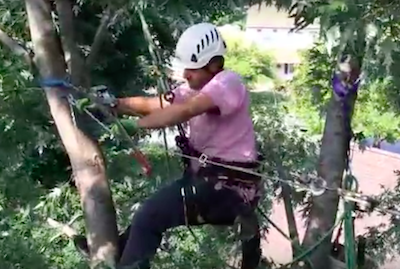 In some instances, Certified Arborists will drill entirely through a trunk or main tree leader and install tree bracing systems to areas that have begun splitting. Essentially, these rods, washers, and bolts will help add support and slow the progress of splits getting worse. Tree bracing systems are most effective when installed at the first signs of stress. Like tree cables, this hardware should be regularly inspected by a tree care professional to determine if changes are needed over time. Does My Tree Need Tree Cabling & Bracing? In order to determine if tree cabling and bracing can help your tree, a Certified Arborist should thoroughly inspect its condition. Some cases may be beyond remediation and warrant tree removal to guarantee safety. However, there are many times that trees can live extended lives if tree cables and braces are installed at the right time. If the damage is caught in the early stages, or even proactively planned for in species notorious for splitting, tree cables and braces could even prevent such losses from ever occurring, or at least, minimize their impact when they do happen. One of Joshua Tree’s Certified Arborists would be happy to visit your property, inspect your trees, and answer all of your questions about tree cabling and tree bracing services. Feel free to contact us or give us a call at 610-365-2200.